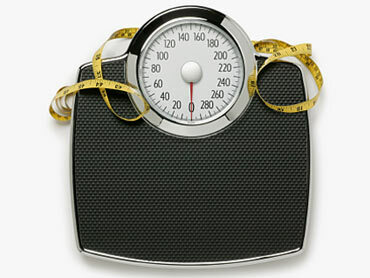 Fight Holiday Weight Gain Before the Holidays! Thanksgiving - the mother of all diet-busters - is a dozen days away. After the turkey and stuffing come eggnog, cookies, holiday parties, you name it. Interestingly, overweight people tend to gain more over the holidays, and weight gained during that time by anyone, overweight or not, tends to stay on. Skolnik told co-anchor Rebecca Jarvis little things add up leading to the holiday season - or anytime - in the battle of the bulge. Breakfast, Skolnik stresses, is "hugely important" for weight loss. "Breakfast skippers have higher BMIs (Body Mass Indexes) than people who eat breakfast," she says. "So, you want to eat breakfast, and having protein at breakfast really helps, whether it's eggs, yogurt, cheese, or lox (a form of salmon), a New York favorite - the idea is to get some protein in, which will help you feel fuller longer, and you tend to eat less later in the day. Also, "You want to lower the carbs. We're not talking about going carb-free. But, for instance, if you eat a cup-and-a-half of pasta, make it three-quarters of a cup. Increase your vegetables and protein slightly. You still get to eat. We're not talking about starving. But that saves about 150 calories, and that, three times a day - like if you eat a sandwich, have an open-face sandwich. Just cut it back, and you do that three times a day, you could get to a 450-calorie deficit -- that's weight loss." Which are the best fruits to snack on and why is snacking so useful? "Low-sugar fruits, like berries have, in fact, high fiber, not a lot of calories -- you still get that sweet," Skolnik replied. "Melons are higher in water content - again, help make you feel full with fewer calories. You do want to snack, though. It's not about trying to go a long time without eating. If you're starving, you tend to eats more. Snacking will help to bridge the gap and increases your metabolism. When you go for long times, it seems counterintuitive, but when you go for long times without eating, you actually slow your metabolism. You want to keep your metabolism going, but not override it by having a high-caloric drink (etc.)." Water, says Skolnik, isn't the only thing people watching their weight could consume to get few calories but many health benefits. "Green tea," Skolnik observed, "has some antioxidants and vital nutrients, along with the caffeine, that seem to really help turn on our metabolism. Drinking two to four cups a day can burn perhaps about 50 more calories a day. Over the course of the year. that's five pounds. Plus, drinking tea helps you to feel full and avoid snacking because you're sipping. "Do not get your calories from drinks. It's such a waste of calories. Some of the seasonal drinks out there, the hot coffee beverages ... can be up to 600 calories. That's more than two meals. Soda - if you drink one 12-ounce a day, two 12-ounce sodas a day, cutting that out for two weeks would be 300 calories a day, really significant. If are a drinker, obviously, if you can go two weeks without drinking, that's great. If you have to have a drink, try going with something like a wine spritzer." Another tip? Working out a little more goes a long way. "If you're already working out every day, try to up the intensity," Skolnik suggests. "If you're working out a few days a week, see if you can add a day, or add 10-to-15 minutes more to the workout you're already doing. That, again, could add a few extra calories, a hundred calories a day that you're burning, it adds up over the course of time." © 2010 CBS. All rights reserved. The changes -- which would have banned clinics from referring patients to abortion clinics -- were set to go into effect next week. He had a hold of my arm and I thought to myself, "Is this methamphetamines? Is this fear?" The top highway safety group is out with an alarming report about back seat safety. They found even in a head-on crash, you may be safer in the front seat than the back. Kris Van Cleave reports.